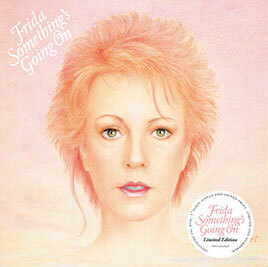 To commemorate Frida’s 70th birthday in November, Polar Music is releasing a limited edition of her most successful international album, Something’s Going On, on 23 October. The three-disc set contains the original 1982 album plus two bonus tracks (the same bonus tracks as the 2005 remaster); a DVD featuring the documentary Something Going On – The Making of a Record Album, the promotional video clips for four of the album’s songs, and two interviews; and a 7-inch vinyl single of the hit ‘I Know There’s Something Going On’. The set also includes an art card of the album cover signed by Frida, and a booklet including liner notes written by Frida. It is limited to 2,000 copies. From the images that have appeared so far on the official ABBA site, it looks like it will be a lovely, quality tribute for Frida’s birthday. Something’s Going On was Frida’s declaration of independance from ABBA, just a few months before the band came to an end. The album sounded very different from anything she had done before, as a solo artist or in ABBA. Frida had been inspired by Phil Collins’ solo album Face Value, and hired him to produce. Though with such a distinctive style, at times it does sound like a Phil Collins album with Frida singing. Despite that, it’s my personal favourite of all the ABBA members’ solo albums. 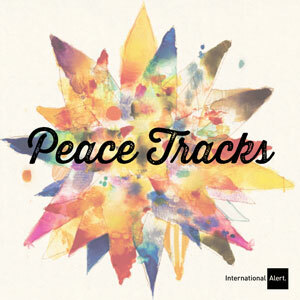 Yes, there could have been more on the CD, but would the available suitable tracks add any value? There is the single edit of ‘To Turn The Stone’, which takes a five and a half minute epic and hacks it down to 3.24; the alternate mix of ‘Here We’ll Stay’ that originally appeared on the Polar cassette version of the album, which would then put three versions of the same song on the CD; The outtake ‘Shot Down In Action’, which is included in the documentary, and is likely incomplete; the ABBA-cadabra songs ‘Belle’ and ‘Time’, which would sound out of place on this album, and may not be available from the rights holders. Frida herself has previously vetoed the issue of unreleased recordings. Unfortunately distribution has been a bit of a mess due to third party providers. Amazon.co.uk has had it available for pre-order for many weeks, but with no details so customers did not know what they were ordering, and it’s now listed as “currently unavailable”. It appeared on ABBA The Museum’s webstore for about six hours (between midnight and 6 am CET, when its prime audience was asleep), the off and on for a few more hours until the allotted 100 copies were ordered. Since the official announcement it has appeared on a few more European webstores. A limited item like this should have been available from a single official source, like ABBA The Museum or uDiscover. Hopefully distribution will be sorted out, so that all fans who want a copy get the chance to order it. More information at ABBA | The official site. The 40th anniversary of ABBA’s Eurovision Song Contest win and international breakthrough was widely celebrated last year, with new releases and commemorative events. As it should be. This year there’s another 40th anniversary that’s just as important to the story of ABBA, but less celebrated. On Sunday, August 3rd 1975, Australian TV programme Countdown played the promotional film clip for ‘I Do, I Do, I Do, I Do, I Do’. Countdown was a nationally-broadcast weekly music programme on the government-owned ABC network that ran from 1974 to 1987. The show’s producers were always in search of popular music to play. They found that a song called ‘I Do, I Do, I Do, I Do, I Do’ by ABBA was in the top 20 in Brisbane, the capital of the state of Queensland. 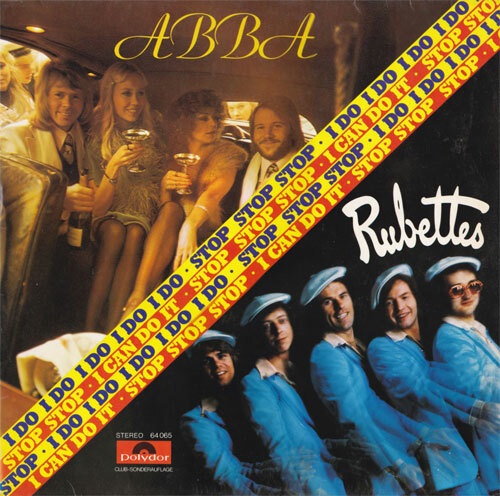 Countdown‘s producers approached RCA, ABBA’s Australian record company, requesting any footage they could play. RCA provided four film clips from the group. Countdown was impressed with the clip for the single ‘I Do, I Do, I Do, I Do, I Do’, but were even more taken with another song, ‘Mamma Mia’. ‘Mamma Mia’ was apparently also broadcast at the end of the show on August 3rd, in Melbourne (the capital of Victoria) only. But the following Sunday evening, ‘Mamma Mia’ was broadcast nationally, and something amazing happened. Though the song was not scheduled to be released as a single, public demand on record stores, radio stations, RCA and Countdown led to RCA requesting from Polar Music in Stockholm permission to release ‘Mamma Mia’. Stig Anderson initially refused, claiming that “the Australians had released so many damn singles”. In a way he was right: in the 16 months since ‘Waterloo’ had been released, RCA had put out ‘Ring Ring’ (its second local release, in remixed form), ‘Honey, Honey’, ‘So Long’, ‘I’ve Been Waiting For You’ (separate singles released simultaneously), and ‘I Do, I Do, I Do, I Do, I Do’, plus a four-track EP. After ‘Waterloo’s peak at number four in August 1974, ABBA’s highest chart position had been ‘Honey, Honey’s number 30 peak in January 1975. Eventually Polar relented, and ‘Mamma Mia’ entered the singles chart at number 52 on September 22nd. In the meantime, ‘I Do, I Do, I Do, I Do, I Do’ was rushing up the national chart, reaching number one on October 13th. After three weeks at the top, it was replaced by ‘Mamma Mia’, which remained at the number one for ten weeks. The songs’ parent album, ABBA, was caught in the slipstream, entering the album chart on September 8th and reaching number one on December 8th. The public reaction and quick chart success caught the attention of overseas media. Contemporary UK news programmes reported on the astonishing Australian success of this almost-forgotten Eurovision-winning group, whose latest domestic single ‘SOS’ was gaining international attention thanks to interest in what was happening in Australia. ‘SOS’ went on to reach number six in the UK in November, followed by ‘Mamma Mia’, which topped the UK chart in February 1976. Back in Australia, ‘SOS’ replaced ‘Mamma Mia’ at number one on January 12th, and a compilation album The Best Of ABBA had been released, topping the chart on March 28th and becoming the first album to sell over one million copies in Australia (ABBA’s Arrival later in the year would be the second). I didn’t see ‘Mamma Mia’ on Countdown. I wasn’t a regular watcher then. I became aware of the hubbub over the song, but I didn’t really hear it until a party sometime in late 1975. I wrote about that experience here a few years ago. Interest in ABBA had been waning after after the initial rush of the Eurovision win. But after the events in the last third of 1975, they were never to be forgotten. Thanks to Matti Crocker and Trent Nickson (ABBA Charts) for details. On Tuesday March 3rd (the 38th anniversary of ABBA’s legendary first concert in Sydney), ABBA The Museum unveiled its newest attraction. Brand new life-sized silicone figures of ABBA, dressed in their famous costumes worn on the 1979/1980 concert tours in North America, Europe and Japan, are now on permanent display at the museum. Reaction has been swift. Generally the figures are acknowledged as more realistic than the much-maligned wax figures that debuted at Madame Tussaud’s a few years ago (though I thought they looked fine when I saw them in Berlin two years ago). And as can be expected fans are divided on these new figures, with many loving them and just as many complaining that they don’t look “exactly” like the individual ABBA members. Though some of them the resemblance is closest from some angles but not others. And in photographs that can be distorted by lights and lenses, you might not get the best view – they’re probably best seen in person, so to speak. Personally, I think these figures look great. They don’t look like “ABBA on November 10th 1979”, but they do look like the public perception of ABBA. Being silicone, I wonder if the museum will change the costumes and display from time to time? 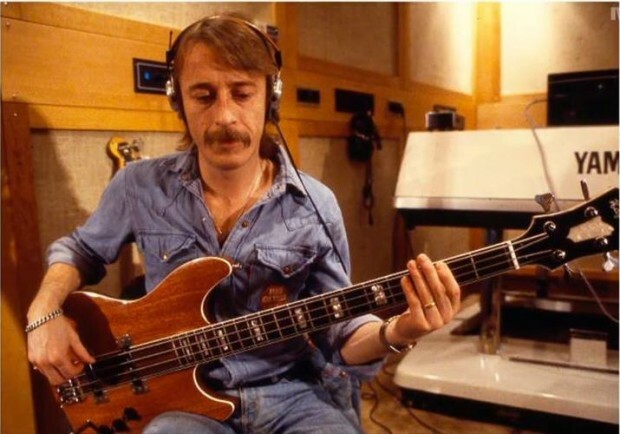 Twenty years ago Carl Magnus Palm’s ABBA – The Complete Recording Sessions was the first book to take a serious look at ABBA’s music. At the time there had been just a few books published on ABBA, mostly lightly-researched biographies or picture books. Today, with a couple of hundred ABBA books published, it remains a firm fan favourite. But it’s been out-of-print for many years, and only high-priced second-hand copies are available. All being well, that will change within the next couple of years. Carl Magnus Palm is planning a brand new, updated, revised and expanded edition. Pictured is the proposed new cover. 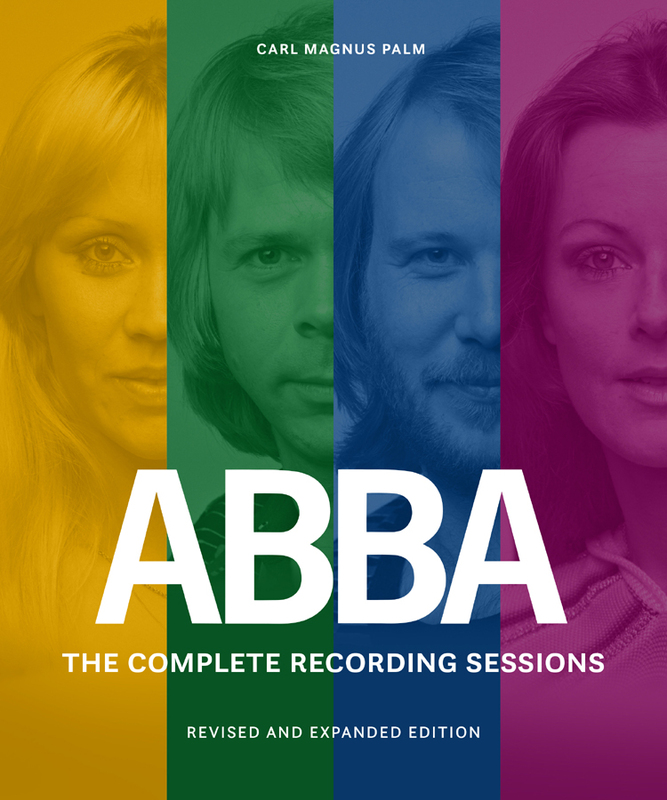 Since the original book was published in 1994, Carl Magnus has continued his research on ABBA and the group’s music, and unearthed much more information about their recordings. Some has been used in CD and DVD booklets, other details have appeared in books such as the biography Bright Lights Dark Shadows -The Real Story of ABBA. Benny and Björn have also authorised Carl Magnus to listen to more unreleased recordings in the Polar Music archive, which will provide much more detail that can be included in the book. To fund the research and self-publishing of the new edition, Carl Magnus has started a Kickstarter campaign (see below for the link). Pledgers will receive a copy of the book when it’s completed, estimated for late 2016 or early 2017. However, if the Kickstarter campaign does not reach its target, the book will not be written. So if you’d like a new, updated and expanded version of this excellent book, please support it by pledging money. The campaign is open now, until 28th February. Much to everyone’s surprise, in October 2014 Frida announced that she was working on a new musical project. The new song, ‘1865’ is scheduled for release on 13 February. 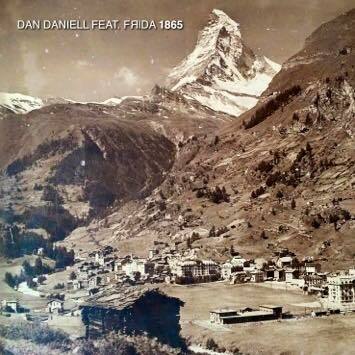 It’s a duet with Swiss entertainer Dan Daniell, to commemorate the 150th anniversary of the first successful ascent of the Matterhorn, near Frida’s and Dan’s hometown of Zermatt. Frida and Dan have previously collaborated in 2003 on the single ‘Lieber Gott’, which also featured a cover of ABBA’s ‘I Have A Dream’. Like that previous single, proceeds are donated to the charity Kinder in not (children in need). Like all of Frida’s releases after 1996, she’s singing in support of a friend. Fans expecting “Frida’s next single” have expressed disappointment. But this is the Frida we have in the 21st century – an occasional song on another artist’s release. If not for these collaborations, we wouldn’t hear Frida’s voice at all. ‘1865’ will be available on CD from retailers in Switzerland, Germany and Austria, and from ABBA The Museum and the ABBA Fan Club Shop, and download from iTunes and Amazon (UK, Germany, France, Italy, Spain, USA). What is your favourite ABBA event of 2014? 2014, being the 40th anniversary of ABBA’s win of the Eurovision Song Contest, has been one of the biggest years ever for ABBA. What were your favourite events? Vote below for as many as you like. Please add any other events in the Comments. ABBA’s 1980 Spanish-language album is to be released as a Deluxe Edition CD/DVD on 10 November 2014. The Deluxe Edition will feature the ten tracks featured on the original album, plus ABBA’s five other Spanish recordings: ‘Ring Ring’ (recorded in 1973, but unreleased until 1994), and tracks recorded for Super Trouper (1980) and The Visitors (1981), included on those albums in Spain and Latin America. As always it also includes a DVD of television performances, this time with every TV performance of ABBA’s Spanish songs. I was quite surprised to hear that Gracias was to be re-released. 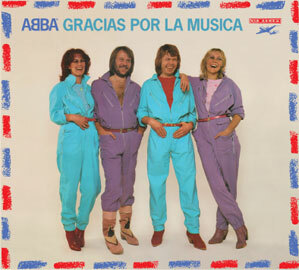 In the modern ABBA catalogue it has been replaced by ABBA Oro, which has featured those same 15 songs since 1999. But many fans have a fondness for the original album, so should be very happy that it’s finally seeing a worldwide CD release. Previously, Gracias Por La Música has only had limited release on CD in the 1980s and early 90s, in Japan and Argentina. It has been something of a lost album. The package includes the usual detailed history of the recording of the album, plus a special greeting from Frida, in Spanish and English.